The asteroid's name is 3122 Florence. Strong's 3122 is "most of all, especially, particularly so". It was discovered in 1981. Strong's 1981 is "dwell in, spread a tabernacle over". It is 2.7 miles in diameter. Strong's 27 is "beloved". It's orbital period is 859 days. Strong's 859 is "deliverance, a sending away, forgiveness, pardon". 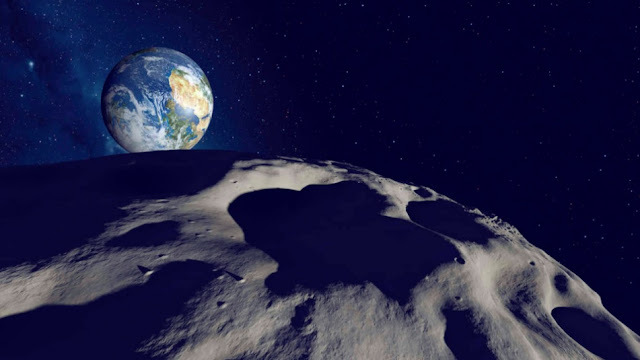 It will pass 4,390 thousand miles from the earth. Strong's 4390 is "filled, complete, full of". It is the same word used in Genesis 6:11-13 to describe the earth right before the Flood as being "filled with violence". It is used elsewhere in the Old Testament to describe a set period of time being completed (Gen. 29:27-28, 50:3, Ex. 23:26). It is especially true that I will spread my tabernacle over my beloved, delivering her and sending her away with forgiveness because the time is complete and the earth is filled with violence. In other news, Mahmoud Abbas delivered an ultimatum to the 45th president of the United States stating that the country only had 45 days left to deliver a peace plan or else Palestine would "blow up" the peace process. Meanwhile, Tropical Storm Harvey is deluging I-45 in Houston, a storm that made landfall and began flooding the Texas coast 4 and 5 days after the Great American Eclipse, respectively. "That's just confirmation bias." "You're thinking too much into things." "You've gone off the deep end." I reject the first two accusations, but I'll accept the third. Truth is found in the deep water, so stop standing on the shoreline and come dive in. God is sovereign over the smallest details. Just a quick side note, not even 10 minutes ago I was watching a teaching over the Rev. 15 sign and in walks a coworker of mine. He saw what I was watching and started scoffing at what it was talking about. He was saying things like "wasn't Jesus supposed to come back already" and "You know, no man knows the hour right?" I was able to share with him what is going on and show him in the Book of Rev. where to look. Also, and more importantly, I was able to share with him why the rapture hasn't happened yet due to God being patient and wanting more to come to be saved. I felt the Lord directing the conversation and by the time we were done talking (only about 10 minutes) he was saying that he needed to go back and read his Bible to learn more about what is happening. From what he was saying I think he may be backslidden. Either way, will continue to pray for my co-workers (I'm in the Army) and to trust and seek God for His sovereign will. Wow Mark! That is amazing and what a testimony for others here to follow. Amen, Mark. Thank you for sharing. We can all be inspired by your patience and faithfulness when the opportunity came to speak the truth. Praying from Germany for your co-worker, Mark! :) This is an awesome testimony, go ahead if the Spirit leads you! HALLELUJAH! "Mahmoud Abbas delivered an ultimatum to the 45th president of the United States stating that the country only had 45 days left to deliver a peace plan or else Palestine would "blow up" the peace process." 45 days from today is October 13th. Friday the 13th, I might add...also it's Simchat_Torah which is a Jewish holiday that celebrates and marks the conclusion of the annual cycle of public Torah readings. In Orthodox as well as many Conservative congregations, this is the only time of year on which the Torah scrolls are taken out of the ark and read at night. In the morning, the last parashah of Deuteronomy and the first parashah of Genesis are read in the synagogue. On each occasion, when the ark is opened, the worshippers leave their seats to dance and sing with the Torah scrolls in a joyous celebration that can last for several hours. The ultimatum was delivered on arrival Aug 21 when Americans were watching the Eclipse. 45 Days brings us to Feast of Tabernacles, the real birth of Jesus. Gary, hello. Do you mind if I will repost your article on lordsbook.org providing an active link to your article here on unsealed.org? Is this the commet that passes through virgo's womb? I was listening to Scottie Clarke teaching at the conference recently, and it hit me, with his conversation about studying everything in the bible about pregnancy, etc. :40 weeks is the average gestation time for a person, and it has been close to 2000 solar years since Pentecost/conception, and 2000/40 = 50, and I was wondering how jubilee years, and lunar count and the time of gestation for church would translate. I am not quite certain how to do that math, or if there is a connection. I am new to this line of thinking, as I have moved from mid-trib. rapture to NO rapture to ? a pre-trib. rapture, so lots of my understanding is shifting, and my awe is exploding! Florence "Flower" is from the Amor group; Cathars are the "Church of Amor"
Hi Gary, I emailed to 'unsealed.org@gmail.com' on the subject: "Bethlehem Star in 2015 and its relation to the Great Sign in 23-9". Perhaps you can take a look when free, it can probably add a prophetic word to the message on rapture derived from blood moons and solar eclipse. Thanks, Kim Yong. I'll second unknown. I probably could have better said 4,390k miles. 4.4 million miles is just rounding up, but technically it will be 4,390k miles or 4.39 million miles. Hope that helps. He could have simply written 4.4 million miles. It is over 15 times further away from us than the moon is. Is it really worth shuddering over? I always find it interesting to see what kind of 'boulder' is thrown down to the earth by the angel in Rev. I can see how an asteroid flying past earth could be easily 'redirected' last moment by a massive angel without any warning/prep by the earth dwellers. What are the favorite four words of a Rev12 watcher? Add THAT into the above and, once again, it fully reinforces the meme. Get it? Got it? Goooood. Maranatha! Strong's 9 is "what was lost" or a "lost thing". Strong's 23 is an Israelite name that means "my Father has gathered". In other words: "my Father has gathered what was lost." In much of the world 9/23 would be written 23/9. Strong's 239 is "hallelujah". "Hallelujah! My Father has gathered what was lost!" Now add in the previously discussed message here and you have some pretty powerful confirmations. 31222 Florence: Behold! A Message! The Flame of God declares, boldly, with all confidence, the Kingdom of God & His Christ, without hindrance, and NO MAN shall hinder Him. "Hallelujah! My Father has gathered what was lost!" As was his WILL to do so. Please cool it down with this microscope searching. You may put off readers that are new here. Exactly what does "Strong" mean? And how do Numbers convey word meanings? I am just confused how you translated numbers into those words. Like how does it work? So, as a concordance, every single word in scripture is assigned a number and analyzed. How often is it used? Where? In which context(s)? Again in Hebrew, versus Greek. and more. So, in light of our Father's Absolute Authority over Everything, we know there are NO coincidences and when a numerical value arises somewhere, such as the orbit of a suspiciously relevant asteroid, in days, we peek at Strong's number and, well whattayaknow! It sometimes provides strong insight (heehee) into an obviously consistent idea in the context of the larger issue, such as Rev12, etc. That then affirms some things and opens up others. Oh, sorry, as for converting words to numbers that is due to every Hebrew letter having a numerical value. Therefore, every word, phrase, idiom, sentence, verse, chapter, name, and so on, has a specific numerical value and we see consistency there as well among specific numbers. The practice of this study is called Gematria and you can research more under that. Virtually all of the Rev12 and even non-ev12 end-times community threads Gematria into their work somehow. Jupiter is in retrograde in Virgo for 44-weeks. That's 14-2/3 weeks per trimester. The number "14" is rendered as "יד" in Hebrew which translates as "hand" in English. I am not a Hebrew scholar and am working on learning new words but do know that ancient Hebrew was especially focused on the function of an object. Thus might we understand it as "extremity" as well? Two-thirds (2/3) or .666 rounds out the number of weeks as 14.6 weeks. Two sevens remainder six (repeating) if you will. Almost like a picture of Christ (King of kings) with the number (six) of man or his name ("Adam" in Hebrew) upon His hand(s). The number six (6) in Hebrew is represented by the letter "Vav" and is written as "ו" in Hebrew. The ancient Hebrew roots for this letter form is based upon a tent stake, spike or nail. Thus we can nails to the hands or extremities. "He himself bore our sins in his body on the tree, that we might die to sin and live to righteousness. By his wounds you have been healed." Strong's 1466 Hebrew is "pride" (noun) feminine; while "self-mastery, self-control, self restraint" (noun) feminine in Greek. Combine these and we may see, "The names of those who fear God are engraved in the palms of His hands." Many may find these musings absurd, and perhaps it is; but I will let the LORD judge me on these things as I search out treasures in His word.